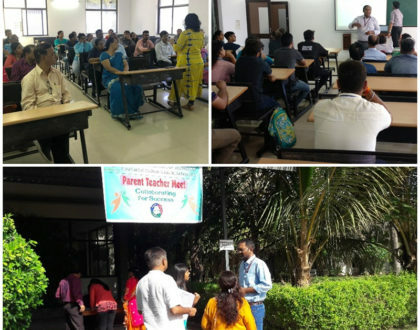 A ‘Healthy Campus Meet – 2018’ was organized by Narcotics Control Bureau (NCB) on 27/08/2018, at GU Senate Hall, Ahmedabad. 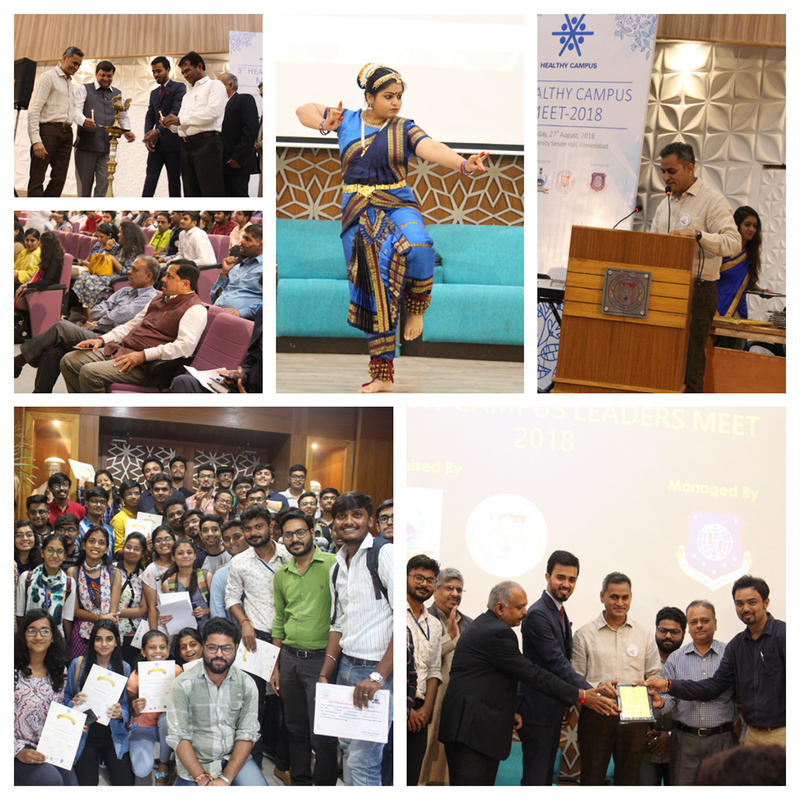 Dr. Himanshu Pandya (VC, GU) was the Chief Guest and Shri K. K. Nirala (IAS, Director of Technical Education) was the Guest of Honour for the event. Shri Hari Om Gandhi (Zonal Director, NCB), Shri Safin Hasan (Youngest IPS Officer of India), and Dr. G. P. Vadodaria (Principal, LDCE) graced the event. 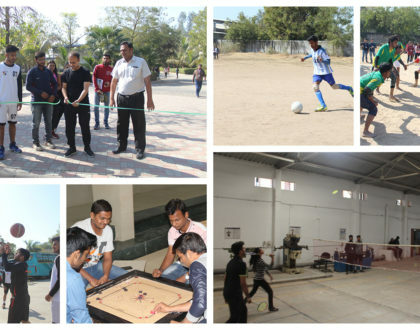 Dr N M Bhatt (Director GIT), Healthy Campus Committee faculty and student leaders, and around 60 students from the institute attended the event. The student leaders were felicitated at the event and GIT was awarded the ‘Star Performer College’ trophy of the Healthy Campus initiative.